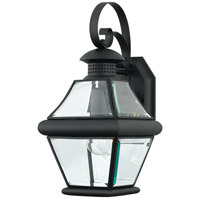 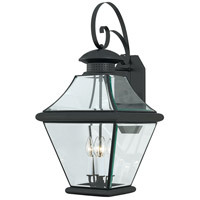 This outdoor lantern expresses simplicity of design. 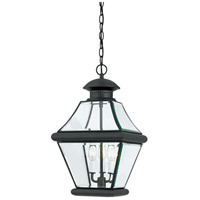 Clear beveled glass gives an unobstructed path of light to brighten your outdoor landscape. 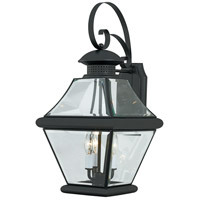 The wo finishes available in this collection are mystic black and medici bronze. 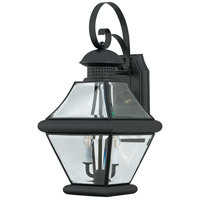 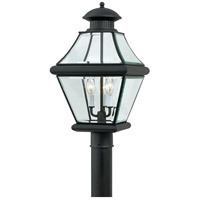 With these timeless finishes to choose from, your outdoor lighting will tie in flawlessly to your home.